When you take a tour of Bluett Bros Violins, Mark will walk you through the process of crafting a violin; from choosing the wood, carving, & tap toning to the finishing process. 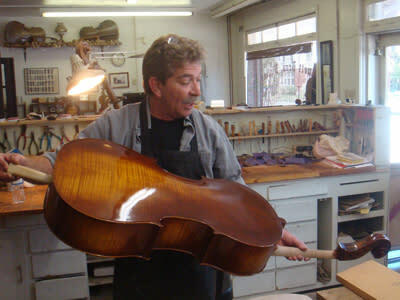 Learn about the correlation of stringed instruments throughout history as well as the acoustic properties that connects each genre of music. Tours are available by appointment. Call 717-854-9064 to book your tour today!